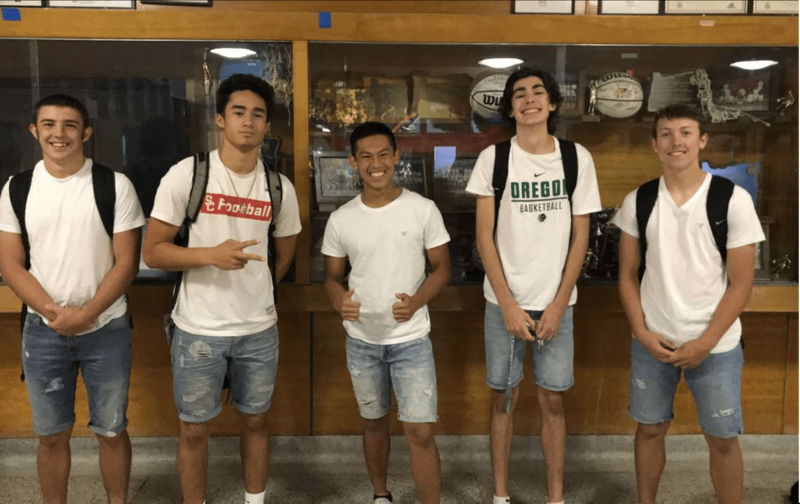 At the beginning of every year the students of South nominate and vote for the students that will represent their grade at the homecoming game and homecoming dance. This year there are 14 students on the court with four students from the freshmen, sophomores, and juniors, and six students from the senior class. The students from the Class of ‘22 are Emma Cordero, Katie Corner, Aidan Ayres, and Kody Hilsheimer. The students from the Class of ‘21 are Keziah Denny, Annie Flood, Evan Thomas, and Stephen Utter. The students on the court from the Class of ‘20 are Hailey Lewetag, Ellyson Hayatas, Parker Johnson, and Greyson Hanowell. The students from the Class of ‘19 are Kaia Alexander, Danielle Grassman, Kundai Kapurura, Eduardo Juarez-Alvarado, Kellen Goodman, and Israel Perez. Nominations for homecoming court were on Sept. 10 during students’ 6th period classes. The four girls and four boys that received the most nominations for each grade were put onto the online voting ballot. The online voting opened on Sept.13 and then the court was announced the next day on Sept.14 during the school pep-assembly. Every student put on court is labeled a prince or princess. At the school assembly two students from the senior class are crowned the King and Queen of the homecoming court, this is decided from the votes in the online voting on Sept. 13. The students on the homecoming court are expected to participate in the homecoming assembly and during halftime of the homecoming game on Sept. 28. The court can also get a free ticket to the homecoming dance on Sept. 29, but they are not required to attend the dance. The theme for homecoming this year is “Beneath the Sea”. The dress code for the dance is semi-formal which means nice slacks or jeans with no rips and a nice shirt, dress, or skirt. Homecoming tickets tickets are $5 with an ASB card and $7 without ASB. Guest passes are available in the student center. Tickets will be sold at the door for $10 with or without ASB. You must bring your ID to the dance. The homecoming game and homecoming dance is at the end of South’s spirit week. The spirit week days include Multiple Monday, Superhero vs Villain on Tuesday, Hippie vs Hipster on Wednesday, Disney vs Pixar on Thursday, and Saxon Gear Day on Friday, Toga day for seniors.